Prepare meatball ingredients (cook quinoa, beat egg, and crush garlic) and mix all the meatball ingredients into a bowl. Roll mixture in your hands to make 1/8 cup size meatballs. In a pan, sauté garlic in olive oil (from tomato sauce ingredients) and brown the outside of the meatballs. Place the sliced onions on the bottom of the crockpot. Add one can of diced tomatoes on top of the onions. Place the meatballs in the crockpot on top of the onions and diced tomatoes. Add the rest of the tomato sauce ingredients and give the mixture a few stirs. Cook the meatballs in the crockpot on HIGH for 3 hours (Low for 5-6 hours). Meatballs and tomato sauce will be ready to be served on top of the spaghetti! 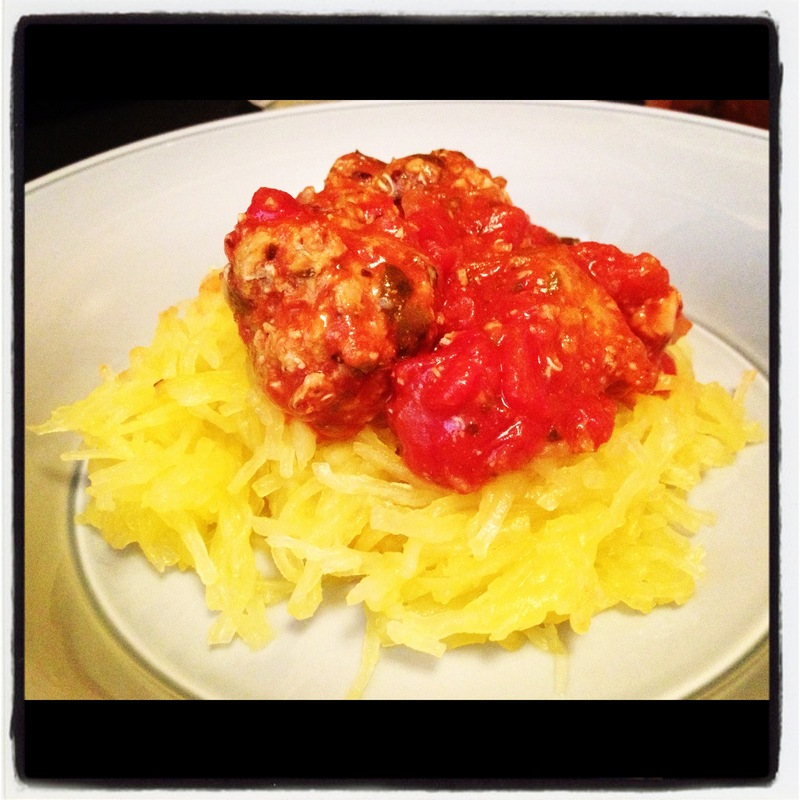 Cut spaghetti squash in half. Scoop out the seeds/guts. Place halves facing down in a 9 by 13″ pan. Place pan in the oven and cook for 1 hour. Scoop out spaghetti with a fork. 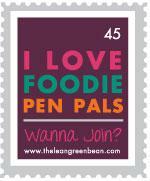 You can always add steamed veggies too! I added broccoli….my favorite! 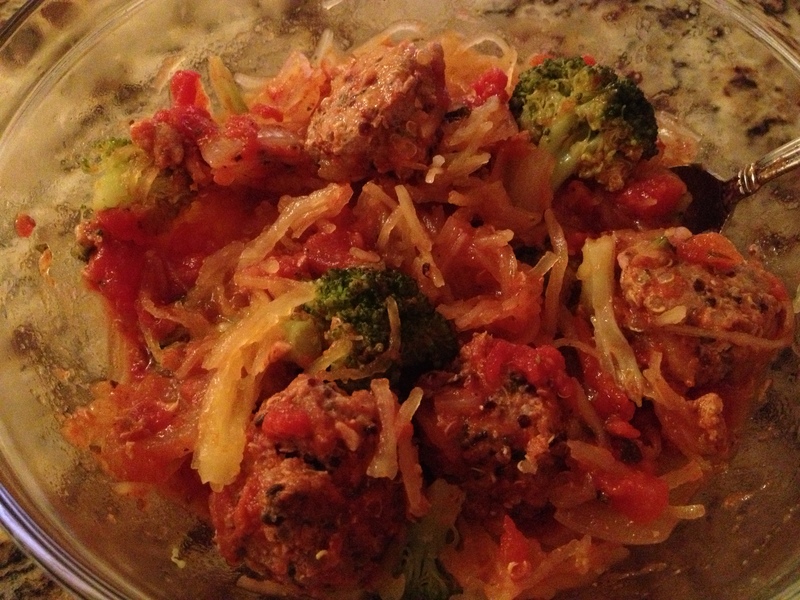 Week 4 Crockpot Meal: Turkey Quinoa Meatballs with Spaghetti Squash!